C F Møller Architects was chosen from nearly 60 design teams to create the Darwin Centre Phase Two. Their design houses the collections within the curving surfaces of a cocoon, which is in turn encased within a transparent outer structure. The Cocoon design was presented as a 3D model in Rhino software. This information was taken by Shotcrete Services and created on site to form the cocoon structure. 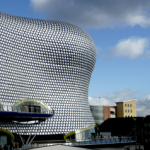 The structural design was completed by Arup. 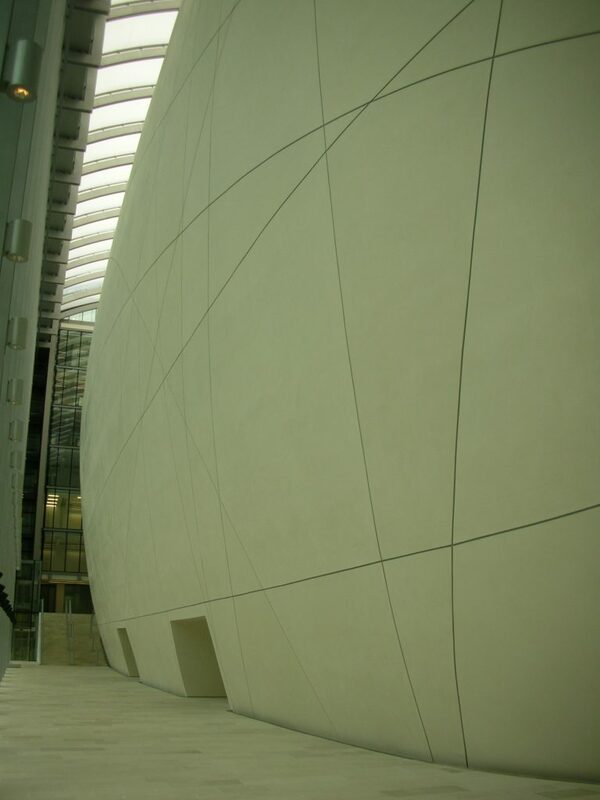 Their design utilised the strength of the sprayed concrete shell to carry and distribute the building loadings. 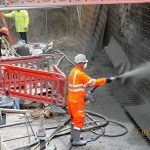 To enable the construction, the structural reinforced concrete floors were completed ahead of the sprayed concrete shell works. Temporary columns were used at the slab edges to facilitate the construction. These were removed once the sprayed concrete shell had reached its full strength. The project won the Concrete Society Award for Outstanding Use of Concrete in 2009.